ROBERT MORRIS was born January 31, 1734 in Liverpool, England. At the age of thirteen, he left England and joined his father of the same name, who was engaged in the exportation of tobacco on the Chesapeake Bay in Maryland. The boy was sent to Philadelphia, where he had slight schooling, and soon was placed in the counting house of Charles Willing, a wealthy Philadelphia merchant. By his diligence and activity he grew in favor and commanded confidence. After the death of Mr. Willing, he was taken into partnership by the latter's son, Thomas, and this connection was maintained until 1793. At the beginning of he Revolution the firm of Willing and Morris was one of the largest and most prosperous among the commercial houses of Philadelphia. Although he was strongly attached to Britian, in 1765 he joined in the opposition to the Stamp Act. Stockton was large in person, frequently afflicted with asthma, agreeable and lavishly hospitable in private life> He was more respected and feared as a public man than he was liked. On March 2, 1769, Robert married twenty year old Mary White, who was described as "elegant, accomplished, and rich, and well qualified to carry the felicity of connubial life to its highest perfection." In 1775 he was elected to the Second Continental Congress and on July 1, 1776, he voted against the Declaration of Independence, holding out for reconciliation because he considered that "it was an improper time". On July 4, 1776, he declined to vote. Yet on August 2, Robert Morris signed the Declaration, pronouncing that "I am not one of those politicians that run testy when my own plans are not adopted. I think it is the duty of a good citizen to follow when he cannot lead." When hostilities began, his services became more and more valuable. As a member of the committee of ways and means he worked hard, and gave to the government the full benefit of his credit. Without Morris's help the campaigns of 1780 would have been impossible. In 1779, he supplied General Nathanael Green with munitions of war, and in 1780 he raised $1,400,000 to assist Washington in the movement that resulted in the capture of Yorktown. In February 1781, he was unanimously elected superintendent of finance. As superintendent of finance, he slashed all governmental and military expenditures, personally purchased army and navy supplies, strengthened accounting procedures, urged the states to fulfill quotas of money and supplies, and when necessary used his personal credit by issuing notes over his own signature or borrowing from friends. In December 1781, when the financial situation had become desperate, the government being $2,500,000 in debt, he organized the Bank of North America, subscribing $10,000. The bank was incorporated by congress December 31, 1781 and went into operation January 7, 1782, with a capital of $400,000. It was the first financial institution chartered by the United States. In 1787 he was a member of the Constitutional Convention and signed the Constitution for Pennsylvania. From 1789 to 1795 he served as a member of the first U. S. Senate from Pennsylvania. When the new government was organized, he was offered the post of secretary of the treasury, but declined, recommending Alexander Hamilton. In partnership with Gouverneur Morris, he went largely into the East India and China trade. His speculations ultimately failed, and in 1798 he was arrested for debt. He had sought refuge from is creditors in his country place, ‘The Hills' on the Schuylkill River, but he was arrested and was confined to the Prunestreet prison, Philadelphia, from February 1798, until liberated by the passage of the national bankrupt law in 1802. When misfortune had overtaken him, Mary showed herself a true wife. Through certain interests in the Holland Land Company, bequeathed to her by Gouverneur Morris, she obtained from that corporation a life annuity of $2,000 before she would sign certain papers to which her signature was indispensable. During her husband's imprisonment Mrs. Morris received an autograph letter signed by both President and Martha Washington, addressed to her while residing temporarily at Winchester,Va., urging her to pay them a visit at Mount Vernon, and to make as long a stay under "our roof as you shall find convenient; for be assured we ever have, and still do retain the most affectionate regard for you, Mr. Morris and the family." Mrs. Morris continued to reside in Philadelphia, and on her husband's release he found shelter in the home that her decision and forethought had secured for him. Robert Morris's last five years, until his death on May 8, 1806 at the age of seventy-two were passed in obscure retirement. 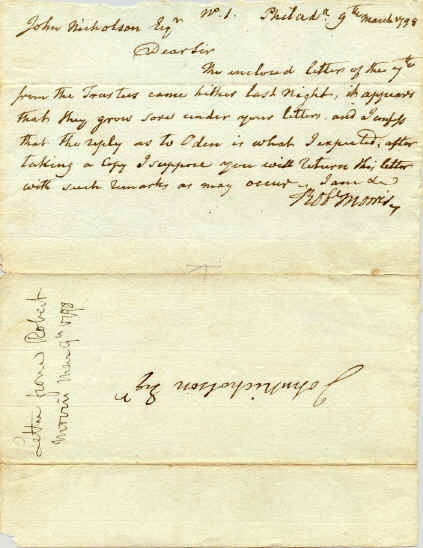 Autograph letter signed "Robt Morris," dated Philadelphia, 9th March 1798, to John Nicholson, his partner in speculating, from debtors' prison. "The enclosed letters of the 7th from the trustees came hither last night. It appears that they grow sore under your letters and I confess that the reply as to Oden I expected after taking a copy. I suppose you will return this letter with such remarks as may occur." Docketed by Nicholson, who apparently had no remarks to make. Morris and Nicholson had speculated heavily in land together, but when the bottom fell out of their North American Land Company venture, Morris was left penniless and deep in debt. His letters from jail are scarce. MORRIS, Robert, signer of the Declaration of Independence, born in Liverpool, England, 20 January, 1734; died in Philadelphia, 8 May, 1806. When he was about thirteen years of age he came to this country with his father, and soon after his arrival he was placed in the counting-house of Charles Willing, a wealthy Philadelphia merchant. By his diligence and activity he grew in favor and commanded confidence. After the death of Mr. Willing he was taken into partnership by the latter's son, Thomas, in 1734, and this connection was maintained until 1793. At the beginning of the Revolution the firm of Willing and Morris was one of the largest and most prosperous among the commercial houses of Philadelphia. 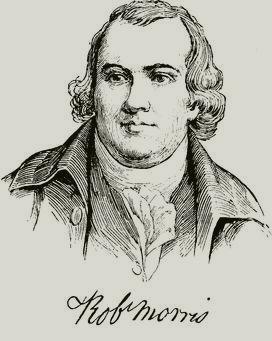 Although he was warmly attached to the mother-country, Morris opposed the Stamp-Act; and, although it was contrary to his business interests, he signed the non-importation agreement of 1765. In 1775 he was sent as a delegate to the Continental congress, and while serving in that capacity he voted, 1 July, 1776, against the Declaration of Independence, and on 2nd and 4th July declined to vote. But when the Declaration was adopted on August 2, 1776 he appended his name. He was re-elected to congress in 1777, and again in 1778. When hostilities began, his services became more and more valuable. As member of the committee of ways and means he worked hard, and gave to the government the full benefit of his credit. Without Morris's help the campaigns of 1780 would have been impossible. In the former year he supplied General Nathanael Green with munitions of war, and in the latter year he raised $1,400,000 to assist Washington in the movement that resulted in the capture of Yorktown. In February, 1781, he was unanimously elected superintendent of finance. In December of the same year, when the financial situation had become desperate, the government being $2,500,000 in debt, he organized the Bank of North America, subscribing $10,000. The bank was incorporated by congress, 31 December, 1781, and went into operation, 7 January, 1782, with a capital of 8400,000. Morris resigned his post as superintendent of finance in January, 1783, tired of the continual worry and excitement, but he was induced to continue until November, 1784, when he retired. 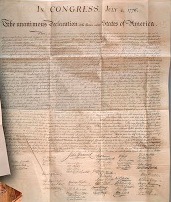 The bank charter was annulled by the Pennsylvania legislature in the last-named year, but Morris was successful in having it renewed in 1786. In the latter year he was elected a member of the Pennsylvania legislature, and in 1787 he was a member of the convention that framed the United States constitution. On 1 October, 1788. he was elected a member of the first United States senate, which post he retained till 1795. When the new government was organized, he was offered the post of secretary of the treasury, but declined, recommending Alexander Hamilton. In partnership with Gouverneur Morris, he went largely into the East India and China trade. His speculations ultimately failed, and he spent several years in a debtor's cell. As a speaker and writer Morris was fluent and ready. See "Life of Morris," by Daniel Gould (Boston, 1834); and "Financial Administration of Robert Morris," by A. S. Bolles (1878). 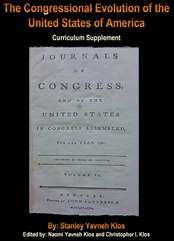 His letters are printed in Jared Sparks's " Diplomatical Correspondence of the American Revolution" (12 vols., 1829-'30). --His wife, Mary, was the daughter of Thomas White, who came to this country from London in early life and settled on the eastern shore of Maryland. After the death of White's first wife he removed to Philadelphia, and married a widow named Newman, who resided in Burlington, New Jersey By her he had a son and a daughter. The former was named William, and became the second bishop of the Protestant Episcopal church in the United States. Mary, the elder of the two children, married Robert Morris, 2 March, 1769, when she was a little over twenty years of age. She has been described as "elegant, accomplished, and rich, and well qualified to carry the felicity of connubial life, to its highest perfection." Not only did she preside gracefully over her husband's luxurious home during his days of prosperity, but, when misfortune had overtaken him, she showed herself a true wife. Through certain interests in the Holland land company, bequeathed to her by Gouverneur Morris, she obtained from that corporation a life annuity of $2,000 before she would sign certain papers to which her signature was indispensable. Robert Morris was confined in the Prune street prison, Philadelphia, from February, 1798, until liberated by the passage of the national bankrupt law in 1802. 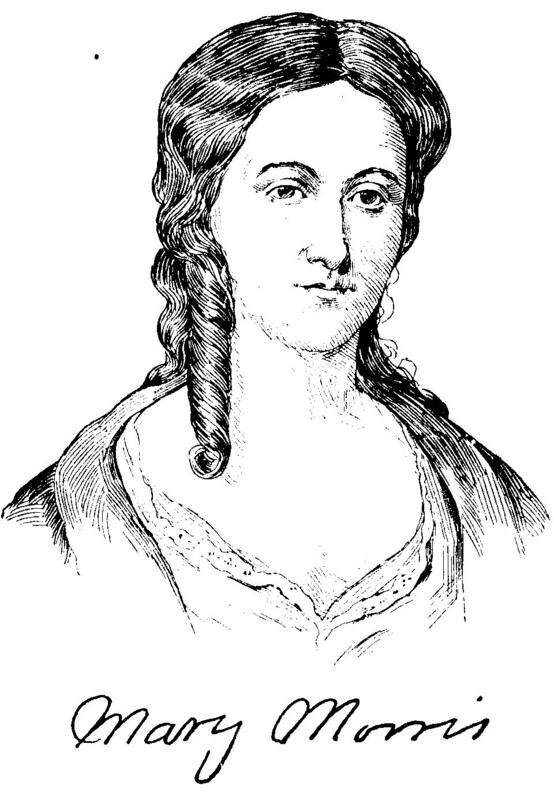 During her husband's imprisonment Mrs. Morris received an autograph letter signed by both President and Martha Washington, addressed to her while residing temporarily at Winchester, Virginia, urging her to pay them a visit at Mount Vernon, and to make as long a stay under "our roof as you shall find convenient ; for be assured we ever have, and still do retain, the most affectionate regard for you, Mr. Morris, and the family." Mrs. Morris continued to reside in Philadelphia, and on her husband's release he found shelter in the home that her decision and forethought had secured for him. --His grandson, Henry W. Morris, naval officer, born in New York city in 1806: died there, 14 August, 1863, was the son of Thomas, a member of the New York bar, and at one time United States marshal for the southern district of the state of New York. He entered the navy, 21 August, 1819, and from 1828 till 1838, under the commission of lieutenant, served in various posts. From 1839 till 1845 he was on special duty in New York city, passing through six degrees of official promotion during the term of six years. He was then appointed to the command of the store-ship "Southampton," at that time belonging to the African squadron. In 1846 he was again ordered to the Brooklyn navy-yard, where for the next five years he was awaiting orders. In the mean time he was promoted commander, and in 1851 was appointed to the charge of the rendezvous in New York until 1853, when he was ordered to the sloop-of-war "Germantown," of the Brazilian squadron. In 1855 he was transferred to the Mediterranean station, where he served as fleet-captain under Commander Stringham. Upon his return to the United States, in 1856, he received his commission as captain. Toward the close of 1861 he superintended the construction of the steam sloop-of-war "Pensacola" at Washington navy-yard. In January, 1862, that vessel, under his command, successfully passed the line of Confederate batteries on the Potomac, and, after anchoring a short time in Hampton roads, set sail to join the blockading squadron in the Gulf of Mexico. The " Pensacola" played a brilliant part in all the attacks upon Fort Jackson and Fort St. Philip, and upon the Chalmetre batteries. After the capture of New Orleans, Commander Morris was entrusted with the duty of holding the city and guarding the adjacent coasts. But his health became seriously affected, and he was persuaded to come to the north to recruit his strength, and died soon after his arrival. He was made commodore, 16 July, 1862. Start your search on Robert Morris.